Local entrepreneur David Costaguta made most of his fortune from the manufacture & sale of textiles between Argentina & Europe at the end of the 19th century. 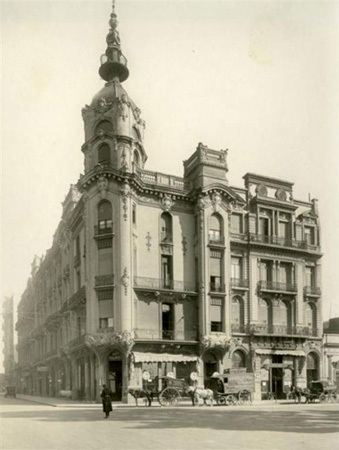 Like most nouveau riche in Buenos Aires at that time, Costaguta decided to use his wealth to play around in the real estate market. But where to buy?? 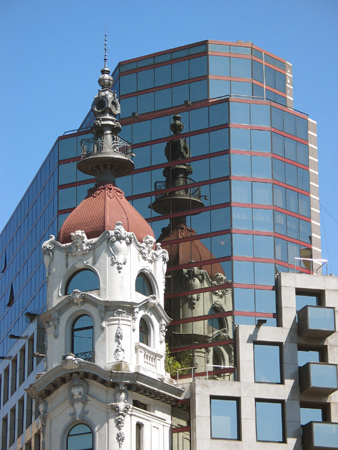 Plaza Lavalle underwent drastic change just as Costaguta looked to develop. The lot occupied today by the Teatro Colón originally held a train station… the terminus for the first railway built in the nation. In 1890 the station moved further west to Once, tracks were removed & the new opera house built in the same spot. Army barracks were likewise demolished to make room for a new Supreme Court (Tribunales). 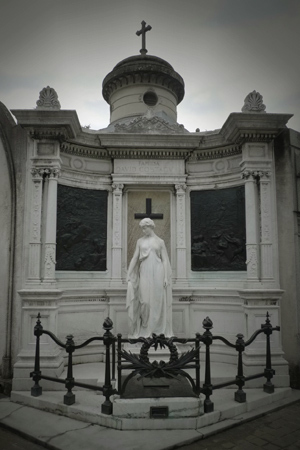 Costaguta’s tomb supposedly dates from 1907, but the architect responsible is unknown. 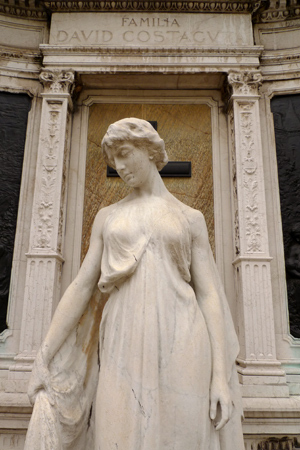 The statue of a woman in mourning & two back relief panels (both unsigned!) are wonderful works of art. Hopefully more information will come to light in the future about the artists involved.